The Highdown Inn and B & B is a beautiful example of a traditional country pub. The Highdown Inn is set in outstanding natural Isle of Wight surroundings complimented by a rich history across the West of the Isle of Wight. Mingle with the locals in our friendly bar whilst selecting your meal from the daily blackboard specials, and enjoy an excellent meal either at a table in the bar or in our sumptuous restaurant. 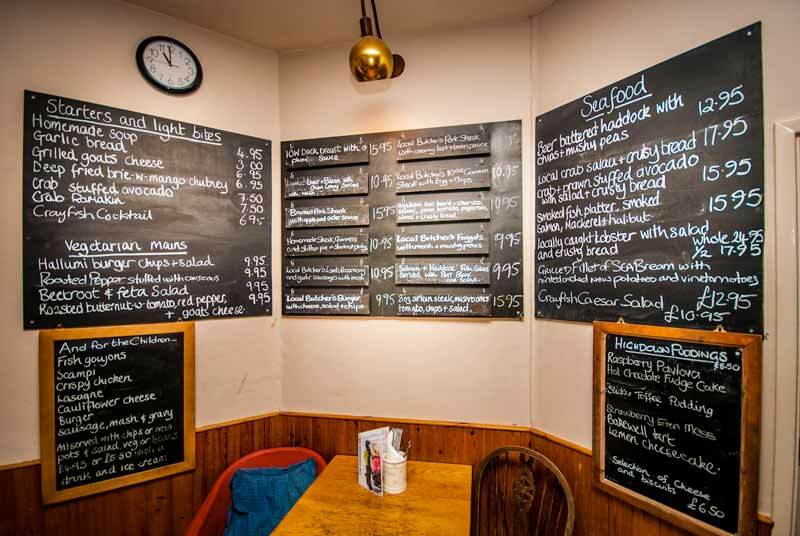 We are noted for our seafood and shellfish and you can compliment your meal with a wine from our extensive stocks or a cold beer or real ale.. Treat yourself to a seasonal break and enjoy evenings in front of our roaring log fire sampling the delights of our seasonal menu. This includes various ‘game’ specialities. We welcome walkers, dogs, muddy boots and cyclists so feel free to come in and soak up the atmosphere or you may prefer to relax in our garden or patio area whilst enjoying a drink or a meal... the choice is yours. Two nights' bed and breakfast for two people including two course meal £199 until the end of February 2019. (Excluding Christmas Eve, Christmas Day, Boxing Day and New years Eve). We also run a selection of daily specials including seasonal local game and seafood. 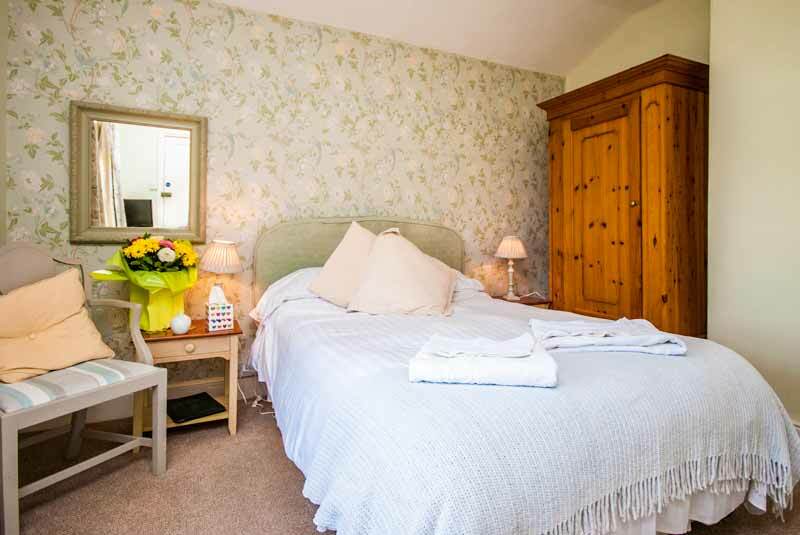 All of our bedrooms are comfortably furnished and offer stunning uninterrupted views across the West Wight countryside. Bed and Breakfast at The Highdown InnIn each room you’ll find Tea and Coffee making facilities, fresh towels and a colour television. 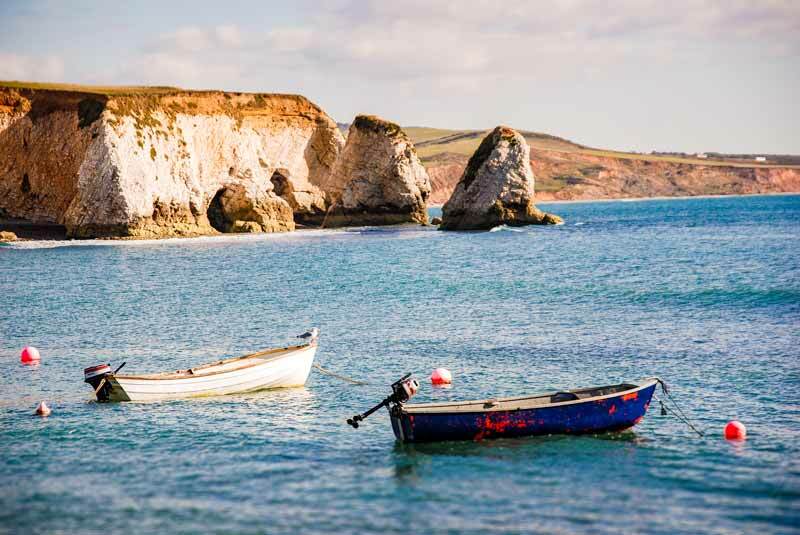 Our Location in the Beautiful West WightThe Highdown Inn is just a few minutes' drive from Alum Bay and the famous Needles to the West, the breathtaking views of Freshwater Bay just a mile to the East and Colwell Bay and the historic town of Freshwater only a mile to the North. The Highdown Inn is open seven days a week from 11.30am to 11pm. Food is served between 12 noon and 3pm and between 5.30pm and 9pm. On Saturdays and Sundays we take food orders between 12 noon and 9pm. The tea rooms are open all day.